The Mormon Scholars in the Humanities conference will focus on religious criticism, religion and science as well as implications of Mormon doctrine. The key note speaker will be John D. Caputo from Syracuse University, speaking on "On Making a Covenant with the Impossible: A Postmodern Approach to Religion and Its Place in the University." "What we are attempting to discuss at this conference is the place that religion has in academia and also discuss the literature that comprises religious criticism," said Ron Bartholomew, a visiting professor in the Department of Ancient Scripture at BYU and one of the conference organizers. "This conference is addressing the idea of religion in the context of religious criticism — is there a place for LDS theology or religion in general in a secular society and the world of academia?" The conference is scheduled for May 8 & 9. 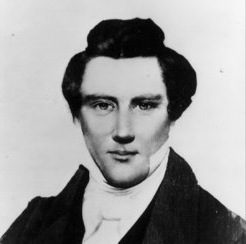 See www.mormonscholars.org for more information.